The purpose of restorative dentistry is to bring your smile back to a state of health and vitality. This is done in many ways, including through the use of bridges and crowns. At Advance Dental Care, we are proud to have a Specialist Prosthodontist on our team, offering you the highest level of experience and skill in your dental restorations. When teeth are badly decayed or heavily filled, a crown may be required to restore lost tooth tissue or protect what remains. Root-filled teeth are weakened due to the root filling and over time become more brittle. 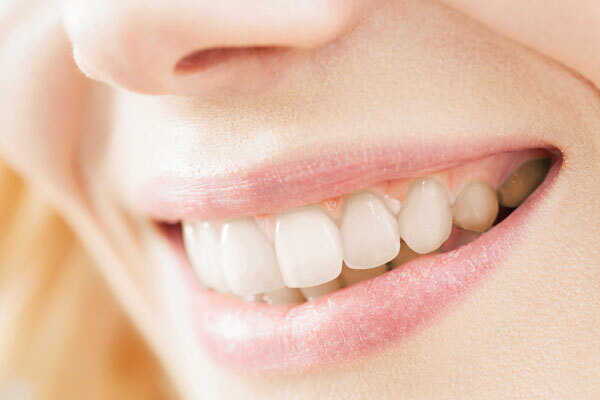 They will often require crowning to protect the tooth from fracturing. The substructure of these crowns is of a dark precious metal with porcelain bonded to the metal. This type of crown is used where the crowns are subject to heavy biting forces and porcelain by itself would not be strong enough. Their downside, though, is that they do tend to show a dark line around the gum line, which is not aesthetically ideal. They also do not reflect light as well as All Porcelain Crowns, and can appear yellow and false. Gold crowns are not as popular as they once were due to aesthetics, although some people love them and even request them on their front teeth. These have fantastic properties. They reflect light in such a way that they do not appear as "false teeth" but look real and alive. They contain no dark metal so there is no chance of a dark line appearing around the neck of the crown. Bridges are a permanent way to fill in the gaps while supporting remaining teeth and keeping them in their proper position. Bridges can help prevent the shifting of remaining teeth, as well as decay and periodontal bone loss. Unlike dentures, a bridge is permanently fixed into place, which gives increased support and stability. Will any metal be visible? Bridges are usually made to have a metal substructure with porcelain bonded to this. Nowadays All Porcelain Bridges can be designed, which allow light to pass through them and hence look more life-like than porcelain bonded to metal bridges. Although a bridge may seem expensive it will last many years. It will also improve your appearance and bite. It’s a long-term investment in your dental health and appearance. There are other methods, such as using a combination of crowns and partial dentures, that can keep the retaining clips out of sight, and dental implants. Are the different types of bridge? Yes, there are different types of bridge, which use different fixing methods. Your dentist will help you choose the most appropriate bridge for your personal situation.